The relevance of practicing ethical norms is increasing day by day in the field of social research, particularly in India, with more than 1.2 billion population; 70% of them living in 638,000 villages. To add to it, India is a religiously, culturally diverse multi-lingual society; more than 18 major languages combined with some 1652 languages and dialects are being spoken in India. At the same time, the literacy rate is low. 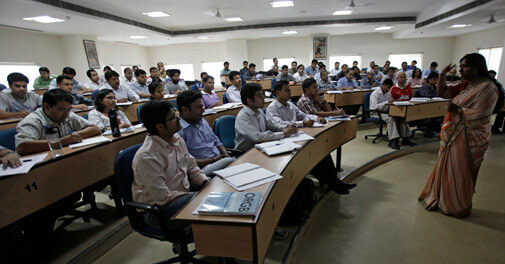 As per Census 2011, literacy rate is around 74%; even lesser among female- 65% than male-82%. With such a socio-culturally diverse population, designing a uniformly acceptable ethically robust research with human subjects is a challenge in India. The most common way of defining “ethics” is ‘norms for conduct that distinguishes between acceptable and unacceptable behavior’. In fast growing professional world of research, relevance and importance of practicing ethical norms is very critical as it ensures objectivity, promotes truth and knowledge and ensures lesser occurrence of error. In research, human subject, as defined by the United States Department of Health and Human Services (DHHS), is a living individual about whom a research investigator (whether a professional or a student) obtains data through 1) intervention or interaction with the individual; or 2) identifiable private information. Thus, human beings irrespective of gender, age group, ethnic group and socio-economic status, individually or in group, is considered as a ‘subject’ for research and identified as human subjects for social science research. While on one hand, research involving human participants must not violate any universally applicable ethical standards, on the other hand, a researcher needs to consider local cultural values when it comes to the application of the ethical principles to individual autonomy and informed consent. However, research involving human subjects categorized in special categories such as minors, juvenile, pregnant women, differently-abled, prisoners, etc become ethically more sensitive. Important ethical issues include voluntary participation and informed consent, anonymity and confidentiality, and accountability in terms of the accuracy of research design, analysis and reporting. The main reason for considering ethical norms in social research is because it prohibits immoral approach towards information/data collection. Further, restricts misrepresentation of information/data and restricts researchers from being biased. Also, to an extent, emotional conflicts of surveyed population are addressed properly. On researchers’ part, accountability of researchers towards the community gets ensured and last but not the least, institutions/organizations more likely to fund research projects can trust the quality and integrity of research. The basic demand of ethical norms is to respect human dignity and privacy; take special precautions with vulnerable population; and make efforts to ensure utilization of evaluation findings i.e. follow-up with donors/implementing agencies. An institutional review board (IRB) is primarily a committee that is formally designated to approve, monitor, and review biomedical and behavioral research involving humans. The purpose of an IRB review is to assure, both in advance and by periodic review, that appropriate steps are taken to protect the rights and welfare of humans participating as subjects in a research study. IRBs attempt to ensure protection of subjects by reviewing research protocols and related materials. Initially, IRBs were committees at academic institutions and medical facilities to review research studies involving human participants, primarily to minimize or avoid ethical problems. Today, some IRB reviews are also conducted by for-profit and not-for-profit organizations known as ‘independent’ or ‘commercial’ IRBs. However, the expected responsibilities of such IRBs are identical to those based at academic or medical institutions. CMS-IRB, a registered body since 2008, is one such review board, having representation of professionals working with CMS, other like-minded organizations and independent consultants. In India, Institutional Review Board on ethics for non-clinical research is few, almost non-existent. 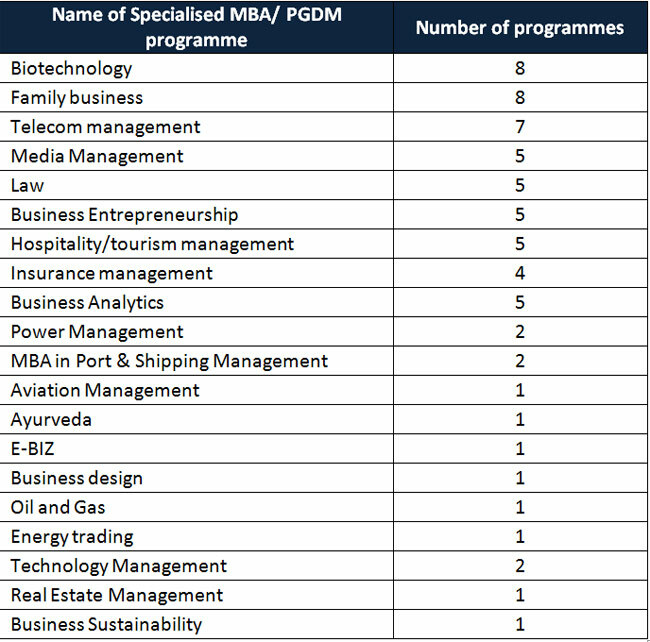 Mostly universities in India have duly-constituted ethics committee but their review is limited to research by their faculty and students and not to research done outside the University purview. In 1999, Ethical Guidelines for Social Science Research in Health was framed by the National Committee for Ethics in Social Science Research in Health (NCESSRH). Non-clinical health research do follow some basics of ethical clearances but in most of the cases it is more of a voluntary choice and less as a pre-requisite for initiating a research study. Studies on juvenile, social groups, differently-abled, prisoners or on issues such as domestic violence, human trafficking among other sensitive issues are rarely reviewed to ensure ethical appropriateness of the research design and protocols. In this context, CMS-IRB is organizing a half-day Consultation with professionals in development sector, which include those representing international/national donor agencies, social research organizations/institutions, independent consultants. Participation from government funded institutions and bodies will be invited to have a 360 degree sharing of views and opinion. Two, debate the importance of IRB in social research projects in our country. In spite of aggressive emergence of new or social media and television across the globe, print media in Asia is growing extensively and will do so on account of various factors. 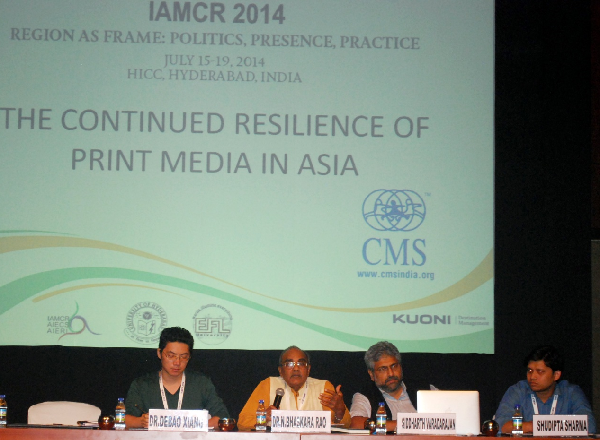 These are some of the highlights from speakers at the plenary held by International Association of Media and Communications Research (IACMR) in collaboration with CMS in HICC Hyderabad on July 19, 2014. The Panel speakers who included referred to various models in vogue in Asian countries and the way various political organizations and celebrities are making good use of the social and print media in recent times. India’s pioneer in media research, Dr N Bhaskara Rao, founder Chairman of New Delhi based Centre for Media Studies(CMS) elaborated on the resilience of print media in India specially the regional media. He explained since proliferation of news channels in Andhra Pradesh in the last decade, nearly two million additional circulation has been generated and the number of Telugu dailies too have increased. The extent of migration away from print is minimal but gain is much more, particularly of first time readers. This was possible because of appetizer effect of news bulletins, their more of the same content priorities and preemptive nature of reporting. He quoted CMS research since 1990 in support. Dr Bhaskara Rao, indicated eight peculiar conditions unique to India which facilitate Persistence of news papers, not with standing growth of television and new media. He however felt that deliberate efforts have to be made to realise the potential for print in India. While competitive compulsions and corporationalisation helps print media positively, cross media ownership and monopolisation beyond would not, Dr Rao argued. Mr Saddarth Vardarajan, former Editor of the Hindu and an eminent journalist also spoke in this panel. He opined that print media is more about business models than about journalism. The very cheap price of newspapers in India (less than the production cost) is the very genesis of the fall of this form of journalism. He spoke of the allied business of media groups and dependence on advertising for survival. Mr Vardarajan He also felt that advertising has not moved away from print because the television and internet business models are yet to be more accountable. He opined that responsible editorial gate keeping is still the main reason for the credibility of news content of newspapers. As new technologies emerge and new challenges influence this printed form of media, the main challenge will still be on the investment on news gathering and editorial gate keeping to maintain relevance. The panel had a Chinese Scholar Dr. Debao Xiang from Shanghai University who shared how there are three distinct players in the media ecosystem – government, commercial and public media. He explained how media organizations reinvented themselves with the available technologies like they started web applications like messages and rss feed that are now quite popular- even larger than pint version subscription. The Bangladesh scholar Shudipta Sharma from Chittagong University shared that the newspapers are increasing in numbers and circulations inspite of new media presence because of increasing literacy rates and also cross media ownership. However, new media is slowly catching up and newspapers will have to find more ways to maintain their relevance. Most newspapers have already have adopted online for digital distribution of their news. This session was attended by more than 200 scholars, students and media professionals from various countries attending IAMCR. It concluded with active interaction with the audience and the panelists.